Surjit Bhalla resigned on December 1. A senior official in the Prime Minister's Office said his resignation would take effect from the same date. 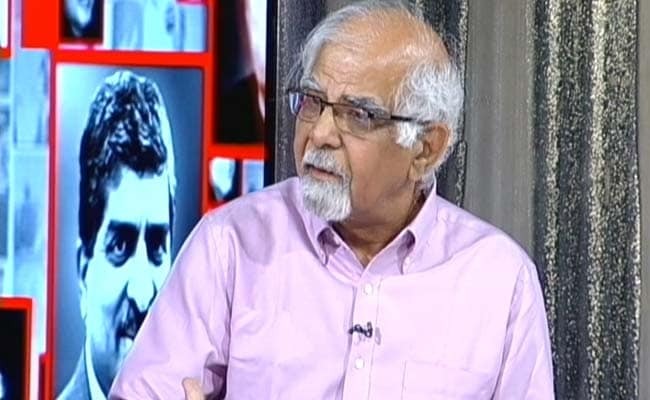 Surjit Bhalla was a part-time member of the Prime Minister's Economic Advisory Council. Prime Minister Narendra Modi has accepted the resignation of economist Surjit Bhalla as part-time member of his Economic Advisory Council (EAC), the PMO said on Tuesday. Mr Bhalla resigned from his post on December 1. A senior official in the Prime Minister's Office (PMO) said his resignation would take effect from the same date. The announcement of his resignation comes a day after Reserve Bank of India (RBI) Governor Urjit Patel resigned from his post. However, Mr Bhalla said in a Twitter post that he had resigned from his post on December 1. "In his request, he had stated that he would be joining some other organisation," the PMO official said. Headed by NITI Aayog Member Bibek Debroy, other part-time members of the EAC-PM include economists Rathin Roy, Ashima Goyal and Shamika Ravi.